Contact lenses are a great option to look and see your best without glasses! We specialize in all types of contact lenses fittings for patients of all ages. We will find the right fit for your eyes and teach you all the skills and knowledge necessary to use and wear contact lenses successfully, working diligently to find the best fit for you and lifestyle. Dry eye: Do your eyes burn, itch, OR wateR? The tears your eyes produce are necessary for overall eye health and clear vision. Natural tears make your eyes feel cool, comfortable, and refreshed, and help to prevent infection of your eye and eyelids. Health conditions, certain medications (such as antihistamines, anti-depressants, and oral contraceptives), the environment, and the aging process may affect the tear-producing glands. As a result, the amount and quality of tears can be altered, creating an unhealthy tear film for the eye surface. Symptoms of dry, red, itchy, burning, and watery eyes are the most common medical reasons people visit their eye doctor. Dry eye sufferers can use eye drops based on specific symptom levels and the time of day they need relief. In addition to these artificial tears, prescription eye drops, warm compresses, and nutritional supplements are extremely effective in reducing symptoms. Electronics and vision: Do your eyes get tired? More than half of all computer users various symptoms directly and indirectly related to sustained near focus, associated with the use of computers. Visual stress also may underlie complaints of general body fatigue, reduced efficiency at work, and higher error rates as the day progresses. Some of the signs and symptoms of computer related vision problems are headaches, eyestrain, irritated/dry eyes, blurred vision, slow refocusing when looking from near to far, occasional or frequent doubling of vision, and present lens prescription failing to relieve symptoms. If you suffer from any of these symptoms, it is time to have a comprehensive vision and eye health examination. The doctor’s recommendation may be the key to making work less stressful, less painful, and more productive. Flashes and floaters: Do you see spots, lines or shadows? Almost everyone sees floaters at some point, but they can occur more frequently and become more noticeable as we age. Floaters appear as small black or opaque spots or strings that come and go as you move your eye around, particularly when looking at blank backgrounds, such as a white wall or blue sky. Floaters associated with a posterior vitreous detachment (when the gel inside the eye loosens from the retina) are more common in patients who are nearsighted, have undergone eye surgery, are over the age of 50, or have had inflammation of the eye. These floaters – which may be associated with flashes of light that may seem like lightning bolts or sparkling to the side of your vision – are common and benign and should be observed at least once a year by dilated eye exam. Flashes and floaters, however, can be an indication of a serious problem with the retina. If you see an increase in flashes or floaters – meaning existing ones grow larger or increase in number, or new ones appear altogether – you should be seen immediately for a dilated eye examination to rule out retinal holes, tears and detachments. 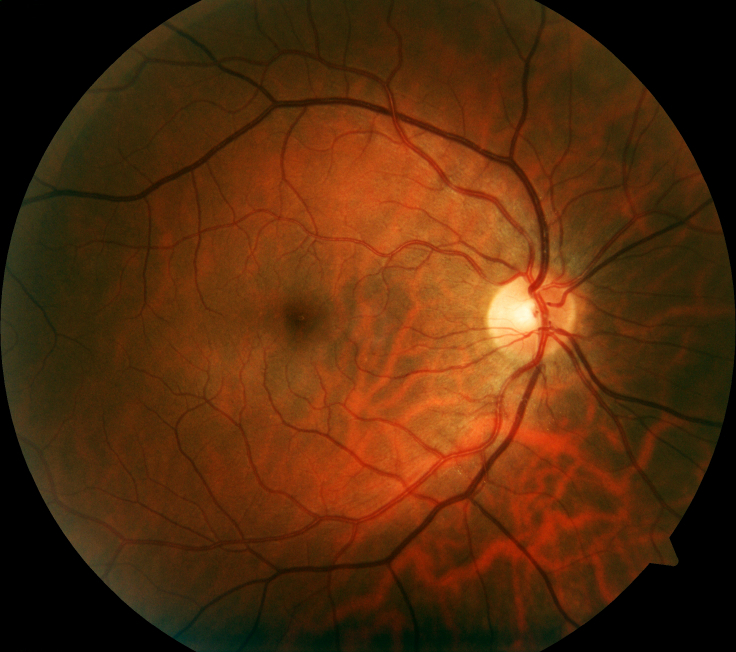 If there is retinal damage, it should be treated immediately to prevent vision loss. Cataracts: are you having difficulty seeing at night? A cataract is the clouding of the lens inside the eye. Normally, light passes through the clear lens and is focused onto the retina. However, the natural aging process can cause the lens to become cloudy. The cloudy lens blocks the passage of light through the eye and causes distorted or blurred vision, glare, halos around lights, or difficulty seeing at night. Cataract surgery is the most common operation in the world; in fact, in the United States alone, more than 2.7 million procedures are performed annually. According to the National Institute of Health, 50% of people over the age of 65 have developed significant cataracts that require surgery. Therefore, it is important to have your annual eye examination to rule out the development of cataracts as we all age.